One of our most popular olympic weight sets! 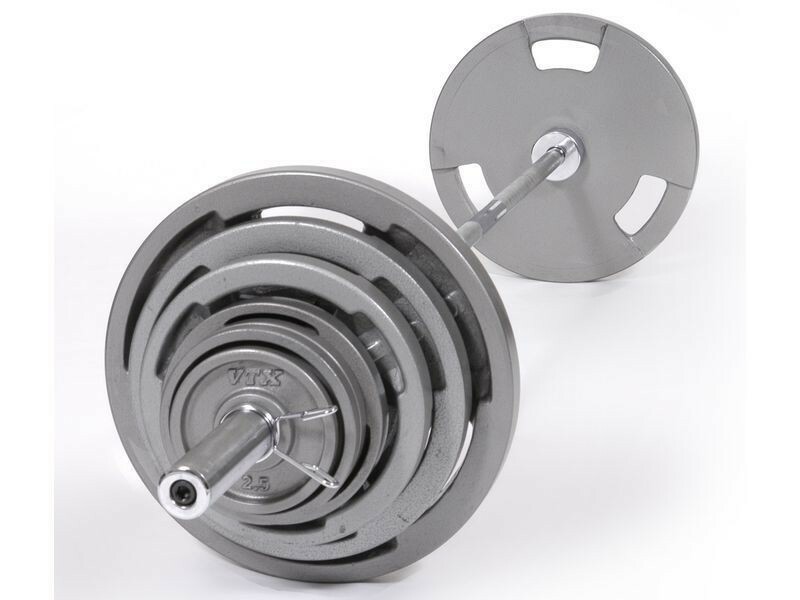 This 300 lb set of olympic weights features the Troy VTX plates with grip holes as detailed further below. The grip holes make them easy to handle, have no sharp edges, and you'll wish you got them if you lose your grip on a regular weight plate and drop it on your foot. That's more, the design looks good and fits in well with other weight equipment in your gym, if you even care about the looks. BAR FEATURES: Our 45lb economy bar that we include in most of our 300lb weight sets. Chrome finish, 7ft long, and medium knurling.